The World. 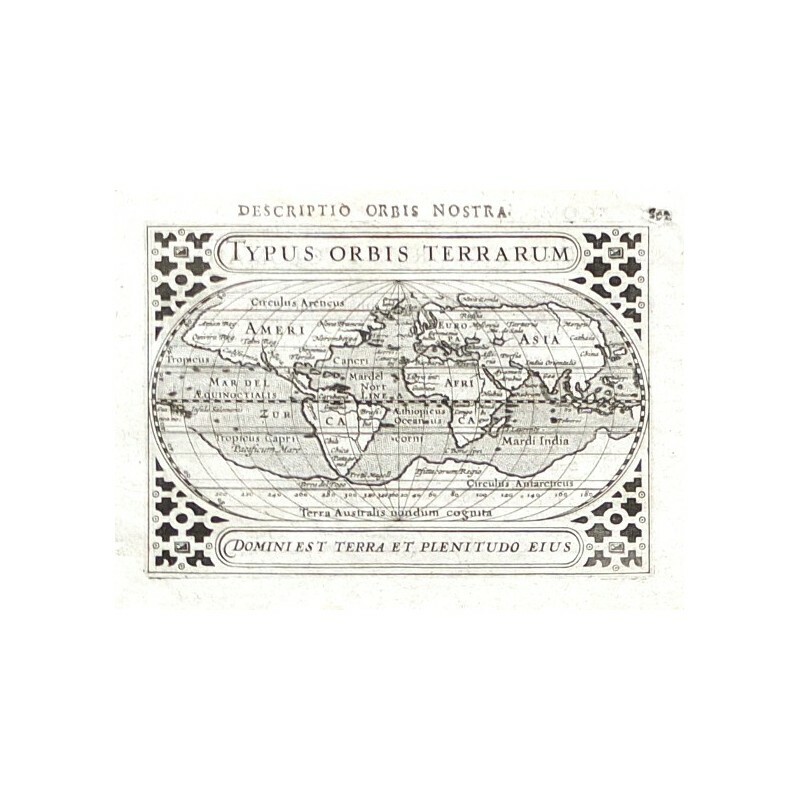 "Typus Orbis Terrarum". Orig. copper-engraving, P. Bertius. Published by J. Hondius Jun. in Amsterdam, 1616/18. 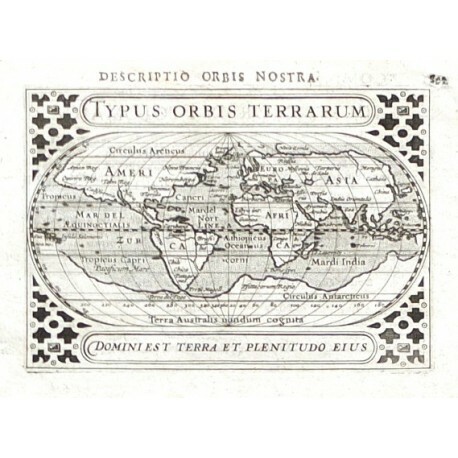 With latin title above the map ("Descriptio Orbis Nostra"), title-cartouche and ornamental margins. 9,5:13,5 cm (3 3/4 x 5 1/4 inch. ).